A few months ago we did a big kitchen remodel and renovation where we changed pretty much everything in our existing kitchen. 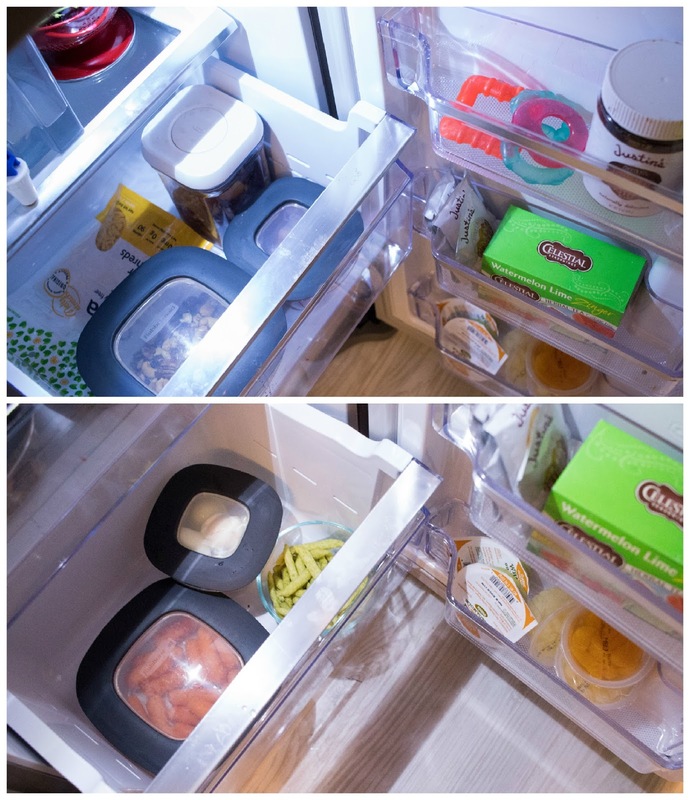 One of the biggest changes we made was adding a new refrigerator for our family. The old one was too small for our needs as a family of five. When we were purchasing a fridge we specifically wanted one that was Montessori friendly. Basically we were looking for something that our children could 1. open on their own 2. access at least one shelf without the use of a stool. We finally settled on a Samsung 4-Door Flex fridge. On this model one of the bottom areas can be used as a fridge or a freezer. So, it essentially becomes a children sized refrigerator. After having this for a few months, I can say I really love it! It's so nice to let the kids have some place where they can just independently gather snacks or ingredients for meals has been really wonderful. Now, I don’t mean to tell anyone that they need to go buy a new refrigerator for their children to use. But, providing some access will open up a world of opportunities. 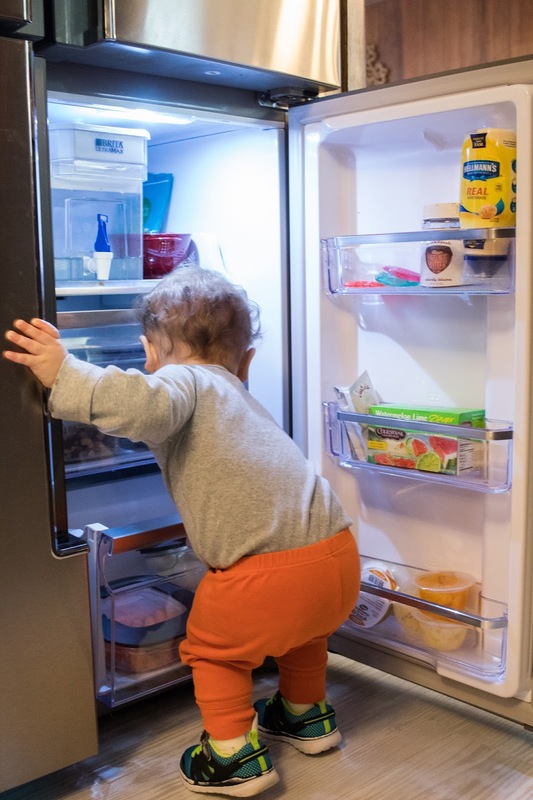 This access could be adding a mini-fridge to your kitchen for your children to use. Or, it could be figuring out a place for your children in your existing refrigerator. The exact fridge used is less important than opening up those opportunities in the first place. We try to keep a variety of healthy snacks in the fridge for the kids. We don’t ration them them but only buy a certain amount for the entire week and let the kids self-regulate as much as possible. We do put limits on some things, and have been known to keep a small scoop in the fridge next to an item where you may need to limit serving size. Don’t read this list and think my kids don’t eat cookies, baked goods or other sweets! They totally do. But, they aren’t at the point of being able to regulate those on their own yet, so they are kept higher in our pantry with other dry goods. What types of snacks do your children enjoy? 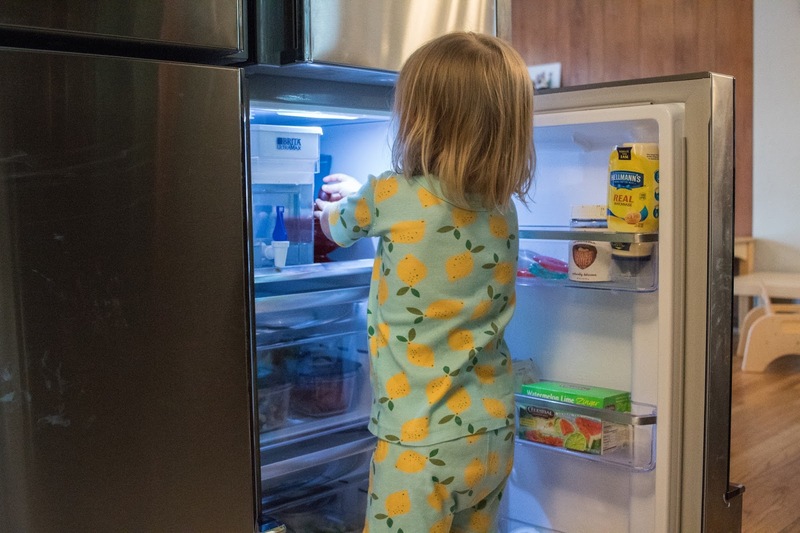 Do your children have access a refrigerator? Thinking about how to get your children to enjoy healthy food? To cook? Or bake? Don’t miss my newest course Confidence in the Kitchen, the first session starts next week! Very interesting, thanks for sharing! How do you balance their ability to snack when they want, with having snack time together (if that's what you do), and also with them not having a snack too close to lunch or dinner?